Our vision is to develop a culture of entrepreneurship in which students and residents are inspired and motivated to explore and act upon their innovative ideas. We are committed to maintaining a vital hub of resources the community can rely upon for entrepreneurial education and assistance, all aimed at increasing an entrepreneur’s chances of launching their own business. The Center for Innovation and Entrepreneurship offers ongoing services and resources to encourage new ideas and new business growth in Macomb County. These services are supported by Macomb Community College as part of its commitment to workforce and economic development in the region. Who is eligible for these free resources? The Center for Innovation and Entrepreneurship is here to serve Macomb students and alumni, and community residents, including small business owners. Most definitely! 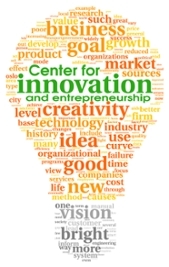 The Center for Innovation and Entrepreneurship can provide assistance to businesses still in the idea phase, as well as those already on the market. Is there a preferred business type? Not at all. Dry cleaners to small manufacturing firms, beekeeping to consulting services, it doesn’t matter. The Center for Innovation and Entrepreneurship has the capacity to provide critical support to all types of new or existing businesses. Contact the Center for Innovation and Entrepreneurship and we will schedule a one-hour assessment at the Center for Innovation and Entrepreneurship office on Center Campus. Together, we will develop an action plan that identifies the steps you need to take and the resources that are available to you. Our experienced mentors will work with you one-on-one as you implement your action plan. Evening appointments available upon request. Please call 586.226.4833 to schedule. By appointment. Please call 586.226.4833 to schedule.